The use of mobile payments has changed the way retail payments are done. Near Field Communication has also enabled payments in ways that were unimaginable. Cash payments are actually becoming rare as people prefer safer methods of payments. Cash is king, and that is the irrefutable fact. Cash is accepted anywhere. It is instant gratification and offers few complications in transacting. But cash presents a security risk. How good is cash? Mobile Point of Sale (MPOS) is a recent innovation that has changed the way money exchanges hands. Mobile wallets like Apple Pay, Samsung Pay, and Google Wallet are leading the way in mobile transactions. NFC (Near-field Communication) payments are enabled customers to pay by tapping their phones. With nearly two-thirds of adults owning a smartphone, mobile payments will become more accepted in the near future. Mobile payments offer higher security than cash or credit cards. There is no personal informatuon stored on NFC devices which reduces the risk of identity theft. Seven out of ten Americans have at least one credit card. Payment by credit card has been the most popular way of transacting since the 1950s. Credit cards are easy to handle and present a lower security risk than cash. It has also been seen that people spend more with a credit card than they would with cash. This is more so for online shopping where impulse buying is common. Businesses that accept credit card payments have higher cash flow. The good thing about credit cards is that one does not have to keep going to the bank. Funds are deposited into the bank account within 24-48 hours. Businesses that accept credit cards have higher legitimacy. Customers will identify strongly with a business that shows the same credit card brands that are in their wallets. One of the disadvantages of credit card payments is that it has some difficulty in bookkeeping. Processing credit card payments has expenses. Credit cards are also prone to identity theft. 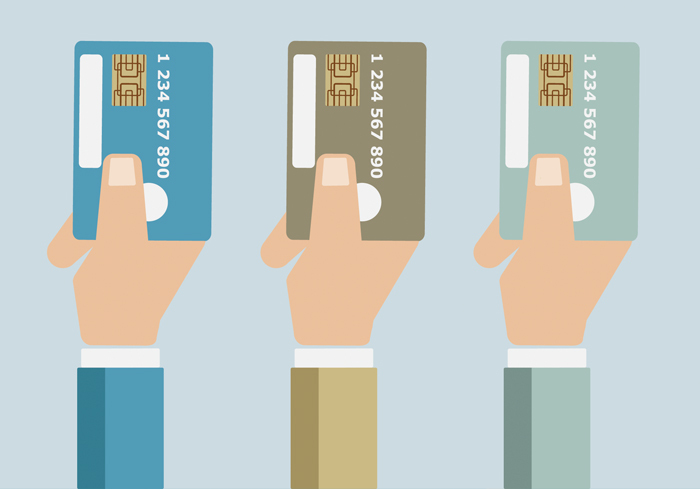 Credit cards have some element of risk in the form of fraud and chargebacks. These are combated by using methods like EMV and PCI compliance. Reputable credit card processors also do tokenization and encryption to improve security. Refunds for credit card payments are usually not immediate. It takes 2-30 days for a refund to settle.